Elevation Worship is the worship ministry of Elevation Church, a multisite church based in Charlotte, NC, led by Pastor Steven Furtick. Their new album, Hallelujah Here Below, released in September of 2018 has been nominated for Best Contemporary Christian Album of the Year at the 61st Grammy Awards being held in February of 2019. 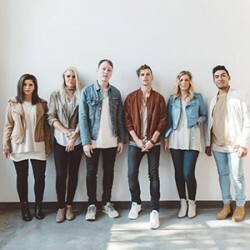 Their previous album There Is A Cloud featured the current Christian radio top-5 song “Do It Again.” After finishing the fall leg of their Hallelujah Here Below Tour in 2018, they will be continuing their tour with Leeland in January and Cody Carnes in March. They have previously toured with other prominent bands such as Hillsong Worship, Bethel Music, Kari Jobe, Jesus Culture, and Lauren Daigle.